Vintage: Year qualified as excellent given the high grade of grapes harvested. Data from the pluviometer shows an average annual rainfall of 242mm, which indicates a very dry year. During the months of ripening there was a temperature variation of around 18 to 20 degrees between day and night. During the harvest there were average temperatures and absence of precipitation thus facilitating the picking of the fruit and contributing to its optimal ripeness and quality. Vineyard: The best grapes of the variety Tempranillo are selected in “Finca Los Juncares”. Single vineyard of 29 hectares cultivated in 1957. Situated at an altitude of 660 meters, in extremely sandy soil (to a depth of 1 metre) composed of small pieces of pure limestone. The sandy surface is mixed with red clay, to a depth of 30cm. Very low production, 1-2 kg per plant. Production: After careful selection, the grapes are picked by hand and transported in small crates to prevent damage to the fruit. Malolactic fermentation in new French oak barrels. Aging for 15 months, followed by bottling without filtering. Guía Peñín: 93 points Volver 2014. Mundus Vini: Best of Show La Mancha & Medalla de Oro. Wine Spectator: 90 Points Volver 2014.
eRobertParker.com: 92 points Volver 2014. 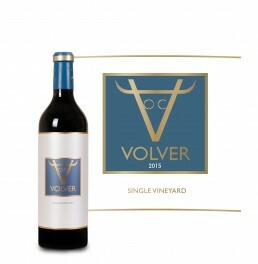 R. Parker Wine Advocate: 92 points Volver 2014.  JamesSuckling.com: 92 Points Volver 2015. La Mancha is an ideal area for growing grapes because the yield per hectare is not very high and of premium quality. In addition, the health of their vines is extraordinary due to the long hours of sunshine they receive and their great ripening cycle. 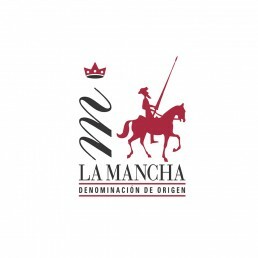 The Denomination of Origin La Mancha works through the Regulatory Council to safeguard the cultivation of the vine within the area of ​​production that comprises a total of 182 towns belonging to the four provinces of Albacete, Ciudad Real, Cuenca and Toledo. One of its main tasks is to ensure its traceability by guaranteeing the quality of its wines and working to promote them. A promotion made, not only at a regional and national level, but the quality of our wines is gaining international recognition, with increasing interest year after year. This is corroborated by the export data that keeps its progression ‘in crescendo’, thanks to the optimal conditions of vine cultivation and the great work in preparation and marketing by the wineries and cooperatives.